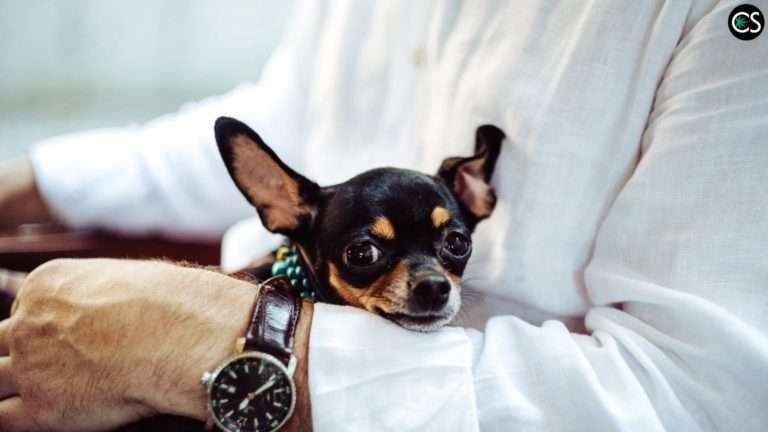 Many dog owners are seeing CBD oil marketed for pets showing up on the shelves of fancy pet boutiques across the nation. Others, enjoying the benefits of CBD for their own ailments, are interested in learning more about how this natural product might also benefit their furry best friend. Since the legalization of marijuana in many states, there has been a rise in the number of pets that have been poisoned after getting into a patient or recreational user’s stash. Marijuana is indeed toxic to dogs in large quantities. Although death in such cases is rare, it raises a valid concern for many pet owners interested in CBD for pets. However, keep in mind that medical grade cannabis, as well as recreational edibles, usually contain very high concentrations of the psychoactive compound THC. It is, in fact, this chemical that causes problems for our canine companions. CBD oil for pets is almost always made from a special strain of cannabis, hemp, which (by law) contains less than .3% of THC. Even so-called “full spectrum” CBD oils that contain the full cannabinoid profile from the source hemp used have far too little THC to pose a threat. That is, of course, if you are buying from a reputable manufacturer who delivers a consistent, high quality product. Like people, dogs have an endocannabinoid system that regulates many important processes, including: skin health, mood, appetite, pain, sleep, the immune system and other vital functions. As such, the list of potential health benefits of CBD for dogs is a long one. Unfortunately, veterinary science is a bit behind medical research when it comes to exploring CBD, although that is starting to change. Many veterinarians do rely on cannabidiol research done on laboratory animals, human trials, and clinical experience to make calls about when CBD will benefit a particular furry patient. This is a common question asked by dog owners when it comes to giving CBD to their dog. The short answer is not going to be very satisfying, but it is true: Talk to your vet. The truth is that if your canine companion is having health issues, only your vet can recommend the right diagnostic procedures to rule out underlying conditions that may need medical treatment with other diet, pharmaceutical, or surgical interventions. That being said, the safety of CBD for dogs has been verified at even relatively high doses. One study tested 75mg and 150mg on a twice daily administration for 6 weeks. Note that this is far higher than the typical amount that would be recommended for effective relief from symptoms. Another study, used as a dosage starting point for many vets, administered 2mg/kg and 8mg/kg twice daily, noting significant improvements in mobility in dogs with osteoarthritis. No side effects were noted observed by the owners. An additional complication in dosing has to do with the fact that different manufacturers produce CBD oil at different concentrations. So, two drops of one oil may contain a vastly different concentration than two drops of another. The product you buy should come with dosing instructions that indicate an amount per pound of your dog’s weight. This is your starting point for the most accurate dosing information. What are the Potential Drug Interactions to be Aware of? Cannabinoids interact with the endocannabinoid system, which in turn interacts with a variety of other systems. As a result, the drug interactions can be complex – another reason why talking to your vet is especially important if your pet is already taking medications for another condition. In some cases, the benefits may be beneficial or allow your vet to prescribe less of pharmaceuticals with more dangerous side effects. This is often the case with pain killers, such as NSAIDs, which have a poor safety profile, particularly in geriatric dogs. CBD may also improve the anti-tumor action of chemotherapy agents used in the treatment of some forms of cancer. Similar complimentary effects have been documented between CBD and some medications used to reduce seizures in epileptic patients. That being said, CBD may reduce or even negate the effects of other medications vital to your dog’s health. As we have reported in another article here at CBD School, drugs that are known to interact with grapefruit are all likely to also interact with CBD, thanks to the fact that they both inhibit the expression of cytochrome P450 enzymes, vital to the metabolism of many pharmaceuticals. Are Veterinarians Open To CBD? Yes and no. Resistance to the use of any nutraceuticals is rampant in the veterinary industry thanks to research and promotion efforts that are heavily funded by the same companies that serve to benefit from the sale of common veterinary drugs and vaccines. The bias of Big Pharma isn’t limited to the realm of human medicine! No big surprise there. On the other hand, the emerging research for the many benefits of CBD over the last 20 years has convinced many in the medical community that there is something very important going on in the ECS, and that the non-psychoactive compound cannabidiol does have verified health benefits and a very strong safety profile. In addition, as the laws continue to progress towards a lessening of cannabis prohibition both for medical and recreational uses, the public perception of cannabis as something to be ashamed about is starting to fade away. The passage of the 2018 Farm Bill marked another landmark in the legalization of hemp across the U.S., including products made from it such as CBD oil. More and more vets are becoming aware of their obligation to the health of their pets, including the use of cannabis based medicine where appropriate. In fact, veterinarians in California recently worked together to pass a new law to protect veterinarians who prescribe cannabis based medicine for their animal patients. If you are met with a knee-jerk negative reaction from your veterinarian about the use of CBD oil for your dog, you may want to consider consulting with a holistic veterinarian in your area. These specially trained veterinarians have all the same med school training as your traditional vet, plus additional training and ongoing education in the use of nutraceuticals, healing herbs, and in some cases, alternative therapies such as massage and acupuncture. They tend to be more aware of the evolving research on CBD as well as more open to prescribing it in many cases. How Can I Know If I am Purchasing High Quality CBD Oil for My Dog? Third Party Batch Lab Testing: You should be able to verify the concentration and ingredients in your CBD oil before you spend a dime. Verify that the product is free from pesticides, mold, and contaminants. Full Spectrum: There has bee a great deal of science supporting the “Entourage Effect,” in other words, the synergistic effect of the various cannabinoids found in hemp. Unless you know your dog is particularly sensitive to even trace amounts of THC, avoid CBD isolate formulas. Hemp Sourcing: If possible, choose products made from either domestic or European sourced organic hemp. Since extracts such as hemp oil can concentrate impurities, this actually makes a big difference in the quality of the finished product. 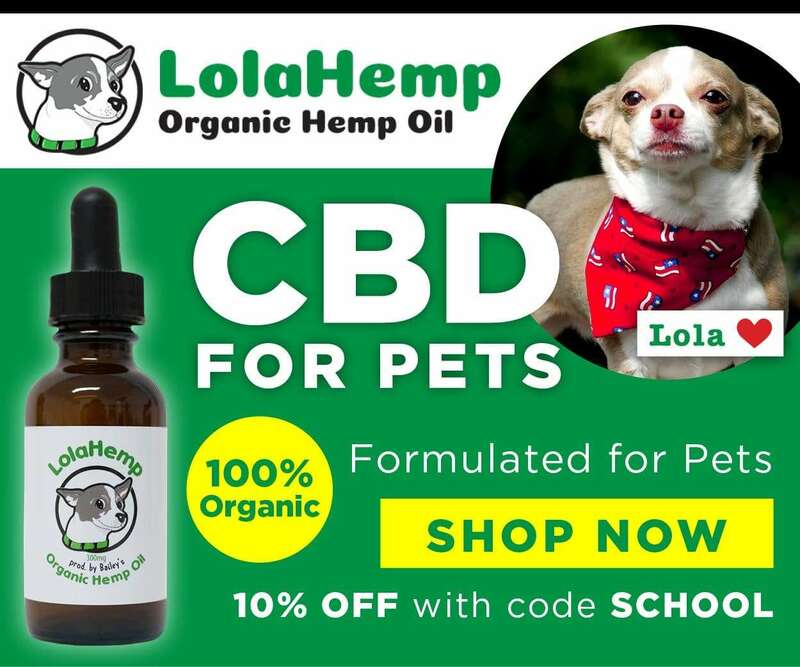 Products Made for Dogs: Always purchase CBD oil made just for dogs, such as LolaHemp. It is a risk to give a CBD product made for people to a dog. For one thing, the concentrations are usually calibrated differently making it harder to get the precise smaller doses needed for our furry shorties. Secondly, there can be flavorings or other ingredients that work for people, but not for dogs. Not sure why you say to avoid CBD oil for dogs made of cbd isolates. The brand I use is CBD isolates, and it helps my dog and both my cats. I now sell it, and it has helped many of my clients animals too. I wish you would explain why you make that statement. Hey Jennifer! Great point. Nothing at all against CBD isolate — it works great. The author of this sponsored article (Lola Hemp) simply meant you don’t get the benefits of the “entourage effect” when you use a CBD isolate. We would love to hear more about your work and results with CBD products. Are you a veterinarian?